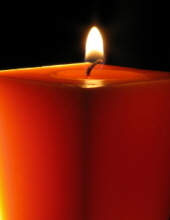 Larry J. Campbell, 66, of Riverview, passed away on Sunday, February 3, 2019. A native of Chattanooga, TN, he had resided here since 1960. He is survived his daughter, Heather Manganelli; brother, David Campbell; sister, Deborah Franceschini and two grandchildren. To send flowers or a remembrance gift to the family of Larry J. Campbell, please visit our Tribute Store. "Email Address" would like to share the life celebration of Larry J. Campbell. Click on the "link" to go to share a favorite memory or leave a condolence message for the family.